'To what extent has Western medicine looked Eastward', 'What happens when science comes up against other belief systems? ', were amongst the questions discussed at the Wellcome Trust's event 'The Parts and the Whole' and in the BBC interview. "In the UK, acupuncture operates fairly independently. Unlike China, the UK doesn't have too many acupuncturists who work inside a hospital, and there are ways in which acupuncture could be better integrated into our national healthcare system." How does Western medicine coexist alongside traditional medicine? "Some doctors, although fully trained in Western medicine, start to delve into a variety of alternative medicines. Some chose to undertake weekend courses in acupuncture and use it in a rather mechanical way, whereas others will take the time to do whole three-year programmes." Since its arrival in the Western world, acupuncture has been subject to much debate, but Ian explains that "there is much greater acceptance now of acupuncture than when I first became interested in it 20 years ago – and that is primarily based on positive patient reports to local GPs." LSBU in collaboration with the Confucius Institute for Traditional Chinese Medicine (CITCM) offers a three-year BSc (Hons) in Acupuncture. 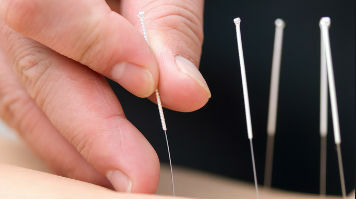 The course provides students with a strong foundation in the theory and application of acupuncture, as well as extensive clinical experience and grounding in Chinese language and culture. Listen to Ian Appleyard on BBC radio's World Update (commences 14 minutes in, available on demand until Thursday 30 January). Find out more about studying BSc Acupuncture, or use our course finder.